superbetter | you found me. SNEAK PREVIEW! This page is a resource for readers of my new book, SuperBetter: A Revolutionary Approach to Getting Stronger, Happier, Braver and More Resilient—Powered by the Science of Games by Jane McGonigal (Penguin Press, September 15, 2015). An inventory is a survey that has been designed to measure a specific psychological trait or experience, such as optimism, anxiety, courage, depression, or life satisfaction. Inventories are typically subject to rigorous scientific testing, to ensure that they effectively measure what they claim to be measuring. As you tackle your challenges gamefully and build up your strengths, you may wish to have access to some of these same powerful measurement tools. Typically, the most rigorously tested inventories are hard to find outside of scientific journals. However, to help you get access to these important resources, I’ve gathered up all of the publicly inventories here that I think will be most potentially useful to you on your SuperBetter journey. You can decide for yourself which traits or experiences you want to be able to track over time as you play. If you’re experiencing a particular problem, such as depression, anxiety, or PTSD, the inventories that measure their symptoms can help you more objectively see if and how you’re improving. If you’re trying to increase character strengths, such as curiosity or grit, you will be able to demonstrate concrete growth by taking the relevant inventories periodically through your journey. There is one special inventory that I encourage everyone to take: the Gameful Strengths Inventory, or GSI. 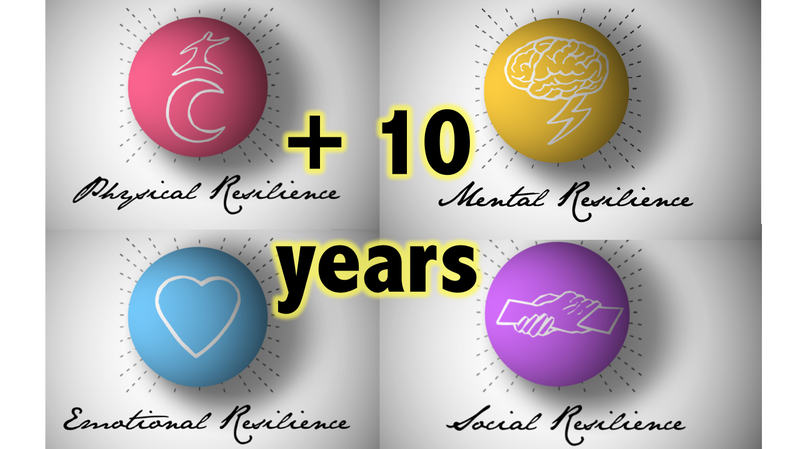 It’s a custom inventory I designed with the assistance of science advisors at UC Berkeley and Stanford University, specifically to measure the benefits associated with adopting a gameful mindset: increased creativity, optimism, courage, hope, determination, social connection, and self-efficacy. You’ve read about these gameful strengths throughout the SuperBetter book – and completed quests to help you develop them. 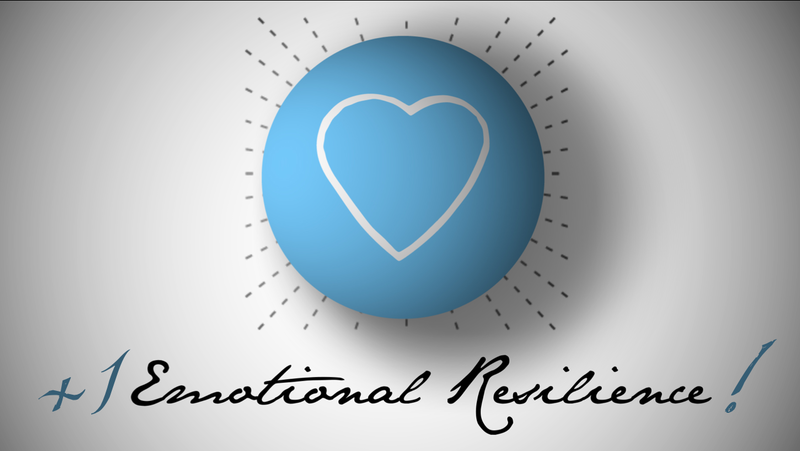 They make you resilient in the face of any challenge – and can help you unlock the benefits of post-ecstatic or post-traumatic growth. It’s my philosophy that everyone should have access to powerful scientific tools – whether or not you have an MD or a PhD. I believe that everyone can benefit from learning more about how experts measure different psychological strengths. Inventories offer you an objective way to track personal growth – which can be an important source of personal insight. And if you’re a science geek like me, you’ll really appreciate seeing firsthand just how scientists have figured out how to measure subjective things like happiness, resilience, and quality of life. These inventories are not designed to make a diagnosis or take the place of a professional diagnosis. An inventory is not a substitute for medical advice or professional counseling. If you’re concerned about your score — for example, if you get a high score on the depression inventory or PTSD symptom scale — please talk to a doctor, counselor or other professional, or consult one of the free resources listed with the inventory. And remember: Even if you get a positive result on an inventory, that is NOT a free pass to avoid doctors, therapists or counselors. You may still benefit from talking to a professional about your mental or physical health. In short: When in doubt, seek professional help! All of the inventories listed here have been made publicly available online for personal use by universities, scientific journals, the CDC, the NIH, or other health organizations. Discover your gameful strengths in SuperBetter: A Revolutionary Approach to Getting Stronger, Happier, Braver and More Resilient—Powered by the Science of Games by Jane McGonigal (Penguin Press, September 15, 2015). What it measures: 21 possible areas of growth and change after a highly challenging event. This inventory was originally created for measuring post-traumatic growth, but it can also be used for measuring post-ecstatic growth. It has 21 questions and take about 5 minutes to complete. Over time, as you get superbetter, you may find that your score increases. I recommend that you take this inventory again whenever you complete an epic win. Who created it: Schwarzer, R., & Jerusalem, M.
What it measures: Your self-efficacy, or your belief in your ability to successfully achieve your goals. This inventory has 8 questions and takes just a minute or two to complete. Take this inventory monthly to see if your self-efficacy is improving as you get superbetter. Remember: To improve your self-efficacy, complete a few challenging quests… or just learn and play a new game! Who created it: Duckworth, A.L., Peterson, C., Matthews, M.D., & Kelly, D.R. What it measures: Your determination and perseverance in the face of difficult challenges and obstacles. This inventory has 12 questions and takes just a couple of minutes to complete. You may want to retake this inventory on a monthly basis to see if your grit improves as you get superbetter. If you would like to increase your grit, spend some extra time identifying and battling your bad guys. Who created it: Kirk Warren Brown, Ph.D. & Richard M. Ryan, Ph.D.
What it measures: Your mindfulness — that is, your awareness of, and openness to, whatever you are thinking or feeling in the present moment. This inventory has 15 questions and should take about five minute to complete. Take this inventory monthly to see if your mindfulness is improving as you get superbetter. Keep in mind that greater mindfulness is associated with less stress, better health and mood, and increased goal achievement. Remember: You can increase your mindfulness by identifying and battling bad guys. Who created it: Martin Seligman, Ph.D.
What it measures: How optimistic you are — in good times and in bad. This inventory has 30 questions. It should take you about 10 minutes to complete and score it. Take this inventory at the start of your SuperBetter journey, and then take it again whenever you achieve a new epic win. You may find that your optimism is growing! Who created it: Christine Robitschek, Ph.D.
What it measures: How active and motivated you are to achieve personal growth and change. The inventory has 9 questions and take just a few minute to complete. Take this inventory monthly to see if your ability to achieve personal growth improves as you get superbetter. A higher score indicates that you are more motivated and better able to make personal changes. If your score is lower than you’d like, you may find it helpful to dream up a new epic win. 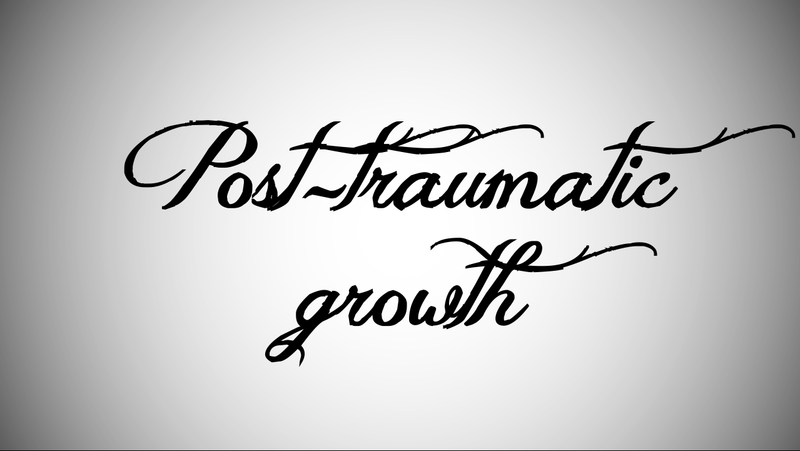 What it measures: Five major areas of post-traumatic and post-ecstatic growth, such as improved personal relationships, greater appreciation for life, and changes in life philosophy. This inventory has 38 questions. It should take 5 minutes to complete. 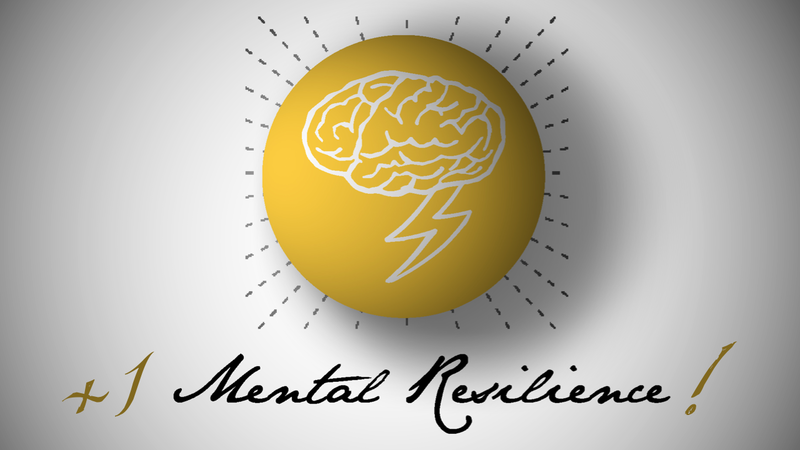 Any score higher than 41 suggests that you have experienced at least some post-traumatic growth. You may want to retake this inventory on a monthly basis to see if your ability to spot silver linings improves as you get superbetter. It’s a good way to see clearly just how much personal growth you’ve experienced. Important tip! This inventory was originally designed for use with individuals who have experienced a significant illness. 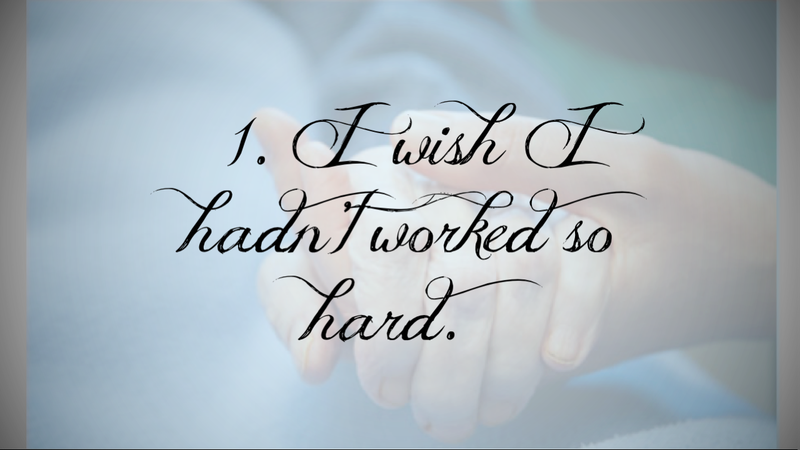 However, you can replace the word “illness” with any significant challenge you have faced. What it measures: Your curiosity! Or, more precisely, two different kinds of curiosity. The first kind of curiosity is stretching, which means the motivation to seek out knowledge and new experiences. The second is called embracing, which means a willingness to embrace the novel, uncertain, and unpredictable nature of everyday life. This inventory has 10 questions and take about 2 minutes to complete. There’s no good or bad score to get here — although higher curiosity is associated with improved well-being. If you want to increase your score, tackle a quest that gives you the opportunity to learn something new, or to stretch yourself. What it measures: Your gratitude — that is, your appreciation for what you have and your ability to see the goodness in others. This inventory has 6 questions and should only take a minute or two to complete. Over time, you can see if your gratitude score goes up or down. Feeling more gratitude is associated with improved health and happiness. If your score goes down, it’s a good sign that you should spend a few moments thinking or writing about what you’re grateful for. Important tip! When an inventory says that one of your answers is “reverse-scored”, that means you subtract the points for that answer instead of adding them. For example, if you answered 3 on a “reverse-scored” question, you would subtract 3 from your total score instead of adding 3. What it measures: Two important components of hope. The first is agency, or the sense that you have the power to take positive actions toward your goals. The second is pathways forward, or the ability to come up with specific strategies for achieving your goals. The inventory has 12 questions and takes a few minutes to complete. Over time, you can see if your score goes up or down. Having more hope is associated with greater happiness and goal achievement. If you want to increase your score, spend some extra time thinking, writing, or talking to an ally about your secret identity. What it measures: How many positive versus negative emotions you feel over the course of a given week. There are 20 questions on this survey and it should take a few minutes to complete. You can take this inventory weekly to see how your positive to negative emotion ratio is changing. If you ratio drops, remember to activate lots of power-ups over the next week. What it measures: How happy you are with your life, overall. High life satisfaction means you wouldn’t change much about your life. This is one of the most commonly used measures of happiness. This inventory has five questions and only takes a minute to complete. In our clinical trial and randomized controlled study of SuperBetter, we used the Satisfaction with Life Scale to measure changes in players over a six-week period. The typical player experienced a significant improvement in life satisfaction by the end of the six-week period. You may find that you, too, experience greater life satisfaction as you play; this inventory can help you track those changes. What it measures: Your self-kindness, particularly during times of struggle or suffering. This inventory has 26 questions and should take less than 5 minutes to complete. You can compare your scores from month to month to see if you are becoming more self-compassionate as you play SuperBetter. High self-compassion is associated with a better ability to handle stress, and greater health and happiness. If you take this inventory and feel you have a low score, consider completing the Love Connection adventure in Part III of the SuperBetter book. What it measures: How supported you feel by your friends and family as you face your current challenge. This inventory has 12 questions and should take just a couple minutes to complete. Take this inventory monthly to see if your scores goes up over time — which means that having SuperBetter allies has helped you feel more supported. If you’d like a higher score, make a list of quests for your closest one or two allies to help them figure out what would support you best. Who created it: Sprecher, S. & Fehr, B. What it measures: How connected you feel to others, even strangers — and how motivated you are you to help them. This inventory has 21 questions and should take about 5 minutes to complete. You may want to take this inventory monthly to see how your sense of connection with others is growing. A higher score on this scale is associated with greater life satisfaction, and more meaning and purpose in life. If you’d like to increase your score, reach out to your allies. Or even better, offer to be an ally to someone else! And of course, some multi-player gaming with new friends could help. What they measure: How likely you are to reach out for social support, and how much social support you’re currently receiving. This inventory has 30 questions and should take 5-10 minutes to complete. Ideally, your score for how much support you have right now will be as high as or higher than your score for how much support you’d generally like to be receiving. If there’s an imbalance in your scores, consider recruiting a new ally or giving your current allies a special quest. Bonus: There’s also an inventory for your allies to take that asks about different kinds of support they might be providing. This can be a fascinating way for allies to get concrete feedback on what they can do to be more supportive. Who created it: Carver, C.S. What it measures: All the little things that people in your life do to support you through your challenge. This inventory was originally created for use with people who are suffering from a serious illness, but you can swap in any challenge you want. There are 10 questions on this inventory, but you are encouraged to take the inventory multiple times as you think about different kinds of people in your life: family, friends, a romantic partner, health care professionals, co-workers, and so on. Taking this inventory gives you the opportunity to reflect on, and appreciate, all the ways that people are actively supporting you. It also will allow you to identify big gaps in the kind of support you’d like to receive — so you can give your allies quests! Your overall score on this inventory is not so important; think of it more as the opportunity to reflect on the specific kinds of support you want and need. 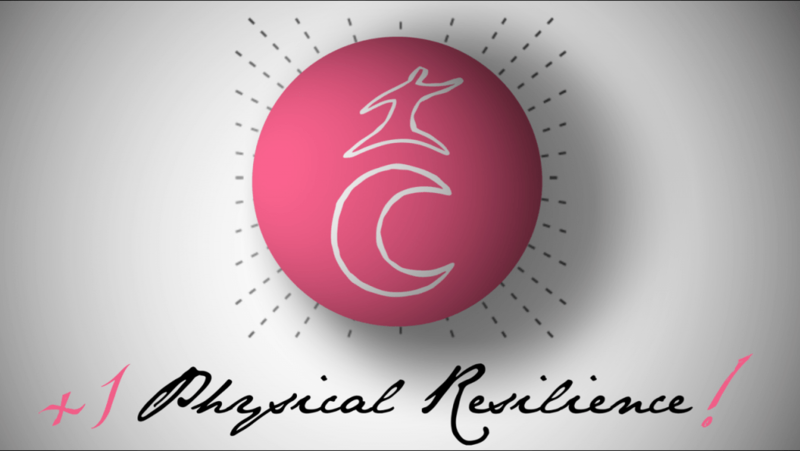 What it measures: 8 different areas of physical resilience, such as whether you have enough physical energy to do the things you love. It has 36 questions and will take you 7-8 minutes to complete. Important tip: This can be a complicated inventory to score (there’s a whole separate document on scoring here!) To make it easier, I encourage you to simply print and save your responses to compare with your responses on a future date. You can compare whether your score is going up or down on the questions that matter most to you. If you feel like you’d like to improve your scores on this inventory, consider tackling the Ninja Body Transformation adventure in the SuperBetter book! What it measures: How many “good days” and “bad days” you’ve had recently, when it comes to your physical health. This is a very simple inventory, with just two questions. 1. Good days: Thinking about your physical health, which includes physical illness and injury, for how many days during the past 30 days was your physical health good? 2. Bad days: During the past 30 days, for about how many days did poor physical or mental health keep you from doing your usual activities, such as self-care, work, or recreation? That’s it. I encourage you to track these two numbers from month to month so you can have a more objective sense of how your physical health may be responding to different SuperBetter strategies. If you’d like to improve the number of good, or healthy days, spend the next month focusing on power-ups. Tip! If you are really eager to track different aspects of your physical health, particularly as they might be effected by depression, illness or injury, here is a much more complicated version of this inventory which you can play with. Who created it: Hart, E. A., Leary, M. R., & Rejeski, W. J. What it measures: Your body confidence. You may find it particularly useful if you’ve struggled with your body image, or if you’ve had an illness, injury, or other life change that may have impacted the way you feel about your body. This inventory has 12 questions and takes just a few minutes to complete. If you you’d like to improve your scores on this inventory, try creating some bad guys and quests specific to body image. The Ninja Body Transformation adventure in the SuperBetter book might give you some good inspiration for how to start. Who created it: Linehan, et al. What it measures: Reasons to live. This inventory was created to help people who are suffering with suicidal thoughts. It lists 72 reasons why someone might not consider taking their own life, such as “It would hurt might family too much and I would not want them to suffer”, “I have an inner drive to survive”, and “I am curious about what will happen in the future.” It takes 10 minutes to complete. Many people have suicidal thoughts at one time or another. This inventory can help you identify important reasons to keep living that feel personally meaningful to you. If you don’t agree with many of the 72 items on the list, focus on the ones you do agree with. It only takes one to find renewed energy to live. Experts recommend that you also take the inventory again later. You may be surprised how many more reasons to live you begin to agree with over time. If you are experiencing suicidal thoughts, you can also get free help and support right now by phone, by email, or by chat. 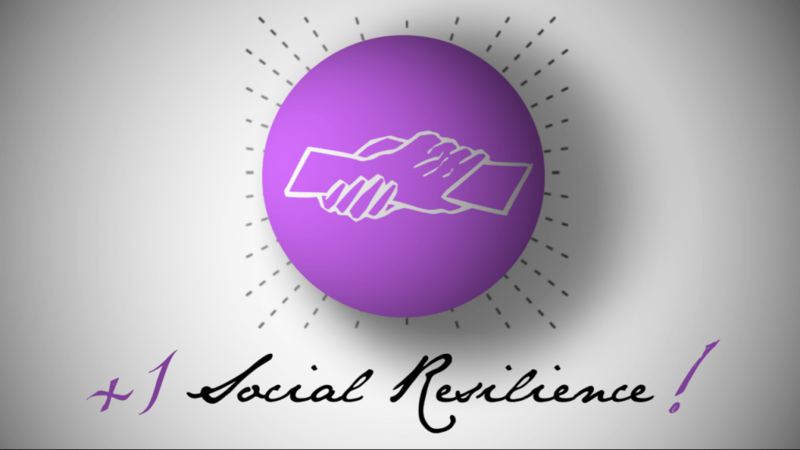 These resources are free and available 24/7. If someone you know has expressed suicidal thoughts to you, here is a list of ways you can help. Who created it: Radloff LS, Eaton WW, Muntaner C, Smith C, Tien A, Ybarra M.
What it measures: The CESD-R is a screening test for depression and depressive disorder. It has 20 questions and takes just a few minutes to complete. If you score 16 or higher (out of a possible 60 points), you may be experiencing depression. Talk to your doctor or someone you trust. You can get help finding a doctor and other resources for depression here. You can also get free help and support for your depression right now online, here and here. These resources are free and available 24/7. If you are experiencing suicidal thoughts, you can also get free help and support right now by phone, by email, or by chat. If someone you know is depressed or has expressed suicidal thoughts to you, here is a list of ways you can help. In our clinical trial and randomized controlled study of SuperBetter, we used the CESD-R to measure changes in players over a six-week period. The typical player experienced a reduction of six symptoms of depression (out of a possible 21) by the end of the six-week period. You may find that you, too, experience less depression as you play; this inventory can help you track those changes. What it measures: Symptoms of post-traumatic stress disorder. This inventory has 17 questions and takes a few minutes to complete. If you score 13 or higher (out of a possible 51 points), you may be experiencing post-traumatic stress disorder. Talk to a doctor or someone you trust.You can learn about different treatment options for PTSD here. If you need help right now, the National Center for PTSD also provides free online coaching to help you manage your symptoms. More PTSD coping resources are available here. What it measures: 7 symptoms of anxiety. This inventory has 7 questions and takes just a minute or two two to complete. In our clinical trial and randomized controlled study of SuperBetter, we used the General Anxiety Disorder Scale to measure changes in players over a six-week period. The typical player experienced a significant reduction of anxiety symptoms by the end of the six-week period. You may find that you, too, experience less anxiety as you play; this inventory can help you track those changes. Finally, if you are a super-curious person (like me!) you may wish to dig even deeper. Check out this educational website, which compiles a whole slew of other psychological measures! SuperBetter: Show Me the Science! UPDATED: Get even more science in the SuperBetter book! 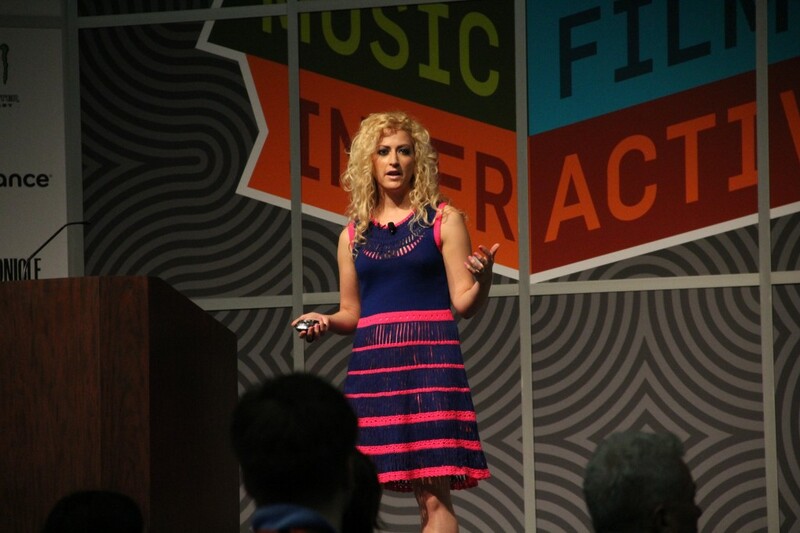 Looking for the research behind SuperBetter Chief Creative Officer Jane McGonigal’s SXSW, Games for Health, Games for Change, or TED Global talks? Good news: You’ve found it! Haven’t seen any of these talks yet? You can listen to one right now: Download or stream the podcast of Jane’s 2012 SXSW featured talk: A Crash Course in Getting SuperBetter. 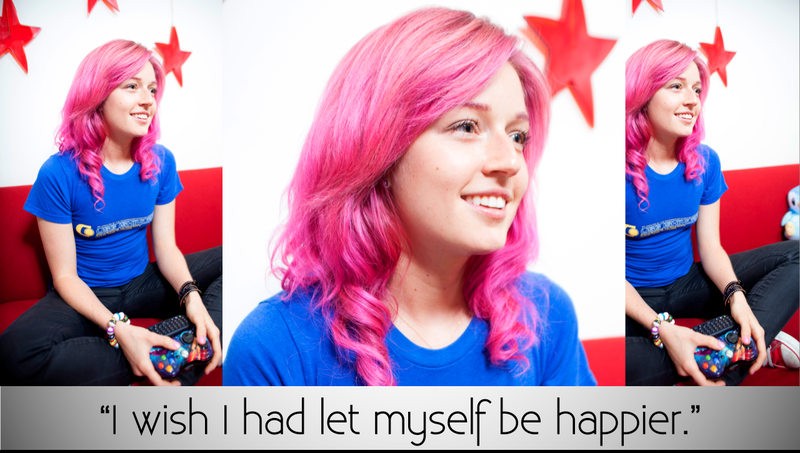 Or download the slides from Jane’s Games for Health keynote! Curious for more breakthrough research? Join SuperBetter.com (it’s free) and explore the science in your Secret Lab! Watch videos, listen to mini-podcasts, or read our “level up” research summaries. And whenever you want to investigate further, you can access the original research yourself! We’ve curated more than 100 of our favorite scientific studies for you, on everything from “Lazy Exercise” to “The Science of Mindfulness”. Findings from the Children and Technology Project at Michigan State University: “Videogame playing tied to creativity” (summary) and full research paper.